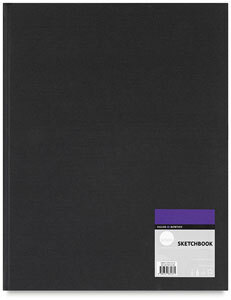 These hardbound Simply Sketchbooks by Daler-Rowney are a great value. Each book features a hard, durable black cover, and 110 sheets (220 pages) of acid-free, 65 lb (100 gsm), smooth white paper. ® Daler-Rowney is a registered trademark.™ Simply is a trademark.